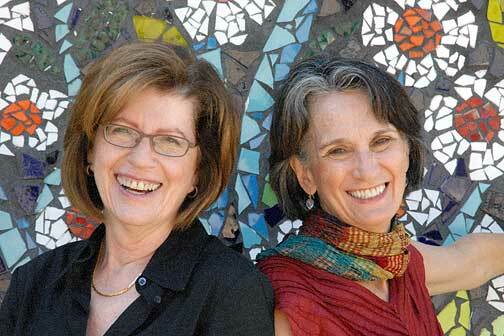 Barbara Attie and Janet Goldwater are recipients of the Pew Fellowship in the Arts. Since 1990, Attie and Goldwater have collaborated on award-winning documentaries for national and international broadcast. IF ITS NOT A PIANO WHAT IS IT?, 1996, a discussion of the history and versatility of the harpsichord. Commissioned by the Themes Foundation and broadcast on PBS. LEGAL BUT OUT OF REACH: SIX WOMEN'S ABORTION STORIES, 2000, a documentary account of the challenges faced by poor women who seek to end unwanted pregnancies. Commissioned by the National Network of Abortion Funds. DARING TO RESIST (with Martha Lubell), about three teenage girls in the anti-Nazi resistance, narrated by Janeane Garofalo. Broadcast nationally on PBS in 2000 and distributed by Women Make Movies. RUFUS JONES: A LUMINOUS LIFE (with Sharon Mullally, 2001), a profile of a leading Quaker who co- founded the American Friends Service Committee. SKIN AND INK (with Maureen Wellner and Nora Monroe, 1989), an exploration of the tattoo culture. Attie studied architecture and worked as a medical photographer before earning an MFA in film and media arts from Temple University in 1996. Goldwater earned an MFA in Photography and Graphic Design from Boston University in 1976. She subsequently taught and exhibited documentary photography in Boston and Charlottesville, Virginia before moving to Philadelphia in 1983 where she began work as a graphic designer. Still involved in photography, Goldwater's photographs are featured in Protecting Home, by Sherri Grasmuck (2005, Rutgers Press).